Monitor AIS traffic and boat instruments on your tablet ! A Swiss-army knife for your boat : AIS transponder + NMEA0183/2000 adapter + GPS + Wifi inside ! Allows to retrieve most NMEA data on an iPad for navigation nd AIS monitoring ! - a wifi router for transmitting information to one or more tablets or smartphones. 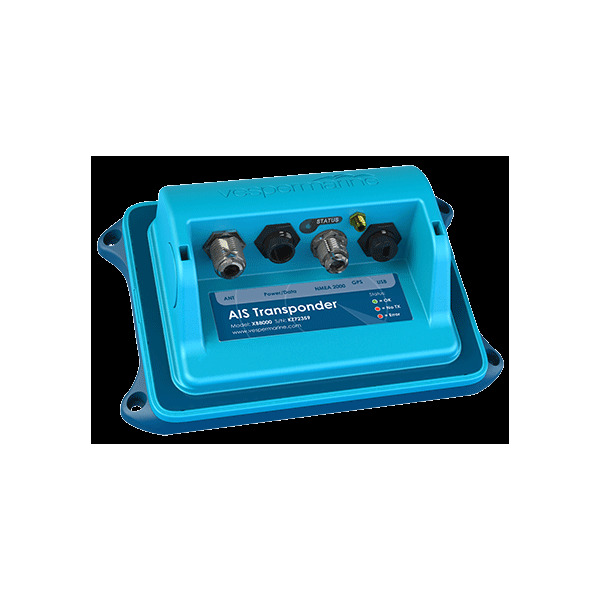 The AIS transponder consists of a class B transmitter and a dual channel receiver (A&B). It is an essential element of safety since it signals your position and your course to other equipped boats, unlike a simple receiver. The unit is supplied with a cable and an external "mushroom" antenna for GPS. This antenna can stay indoors on most plastic boats, GPS reception is often good indoors. 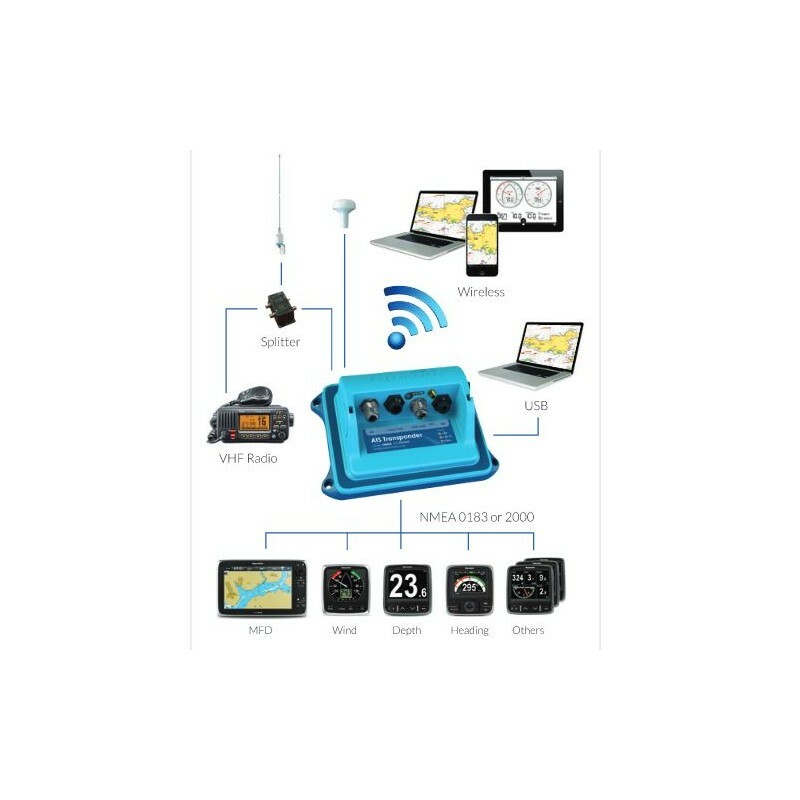 The XB-8000 is NMEA 2000 certified and has a NMEA2000 Micro-C type input/output connector that can plug into any standard NMEA 2000 network (read our file), including Seatalk NG, Garmin and Simnet. (data cables not supplied). 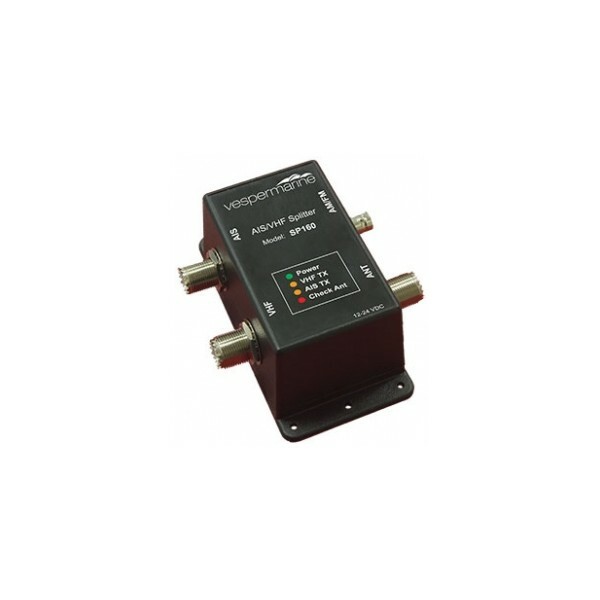 In addition, the XB-8000 includes an input port and an output port for NMEA0183. Older generation equipment can therefore be connected in/out. 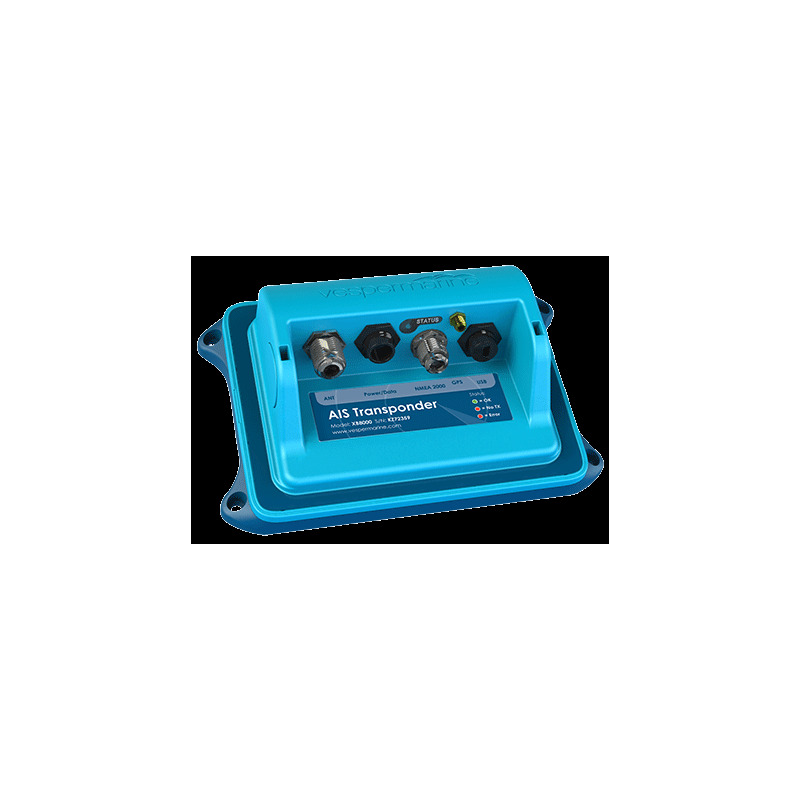 - NMEA2000 data normally flows in both directions in the NMEA2000 network through the NMEA2000 input/output socket mentioned above. 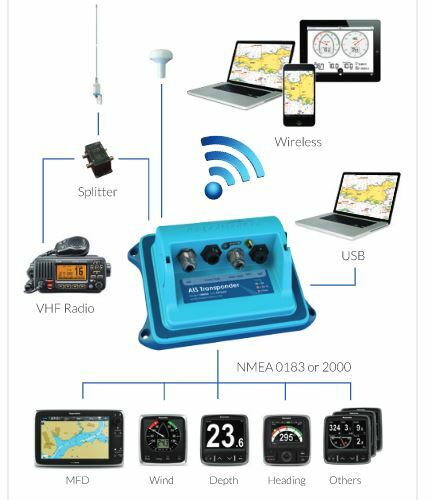 - some NMEA2000 onboard network data (heading, wind, speed, temperature, depth and log) are translated on the fly into 0183 and sent to NMEA0183, USB and wifi outputs. 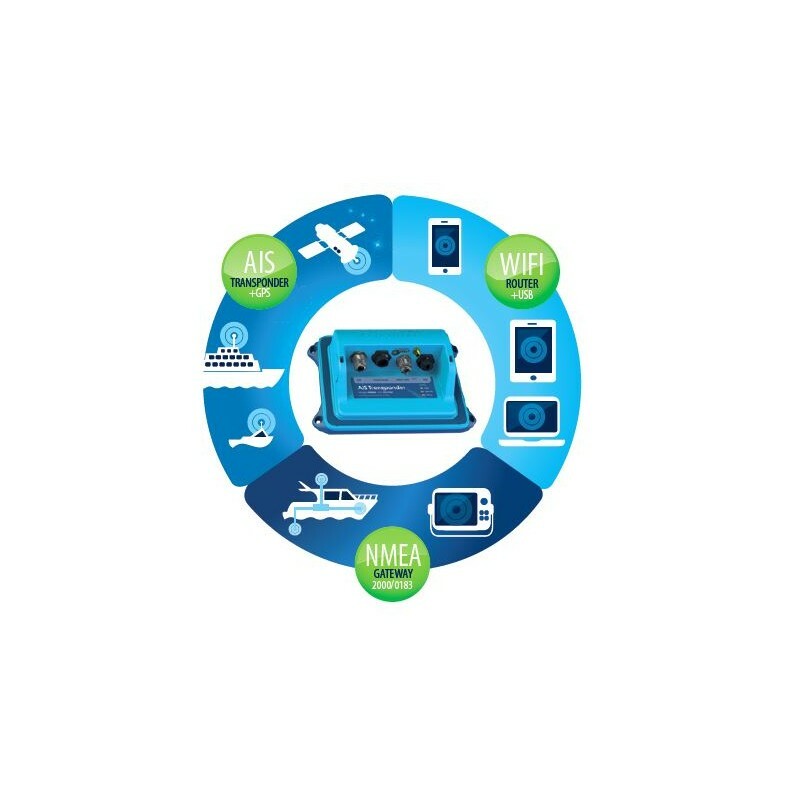 - internal GPS and AIS data are made available in the NMEA2000 network and on the 0183, USB and wifi outputs. Attention this is not a wifi router for internet access as proposed here! However, the XB-8000 offers routing functions that allow up to 5 devices to be connected simultaneously via wifi (PC, tablet or smartphone). It can also be connected as a client of an existing wifi network. Its wifi network is protected by WPA encryption.